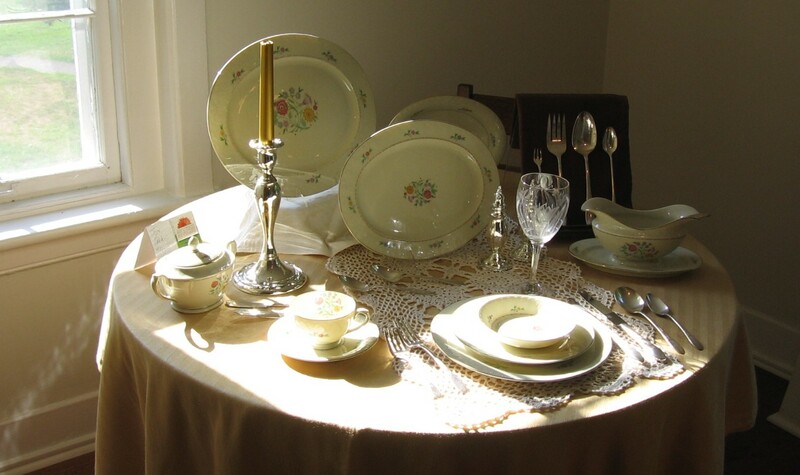 Flatware, china and crystal, all in the Lady Hamilton pattern by Oneida Community. For readers of my pages about American silverplate, I have added a new one. That Lady Hamilton Woman shows pictures from the exhibit of Oneida Community objects from the 1930s at the Oneida Community Mansion House Museum in 2012. Click here. This entry was posted on Tuesday, August 14th, 2012 at 12:15 pm and is filed under Uncategorized. You can follow any responses to this entry through the RSS 2.0 feed. You can leave a response, or trackback from your own site.